17 elements drawn and painted by me. It consist of some doodles, cut pieces of cardboards and scribbles. 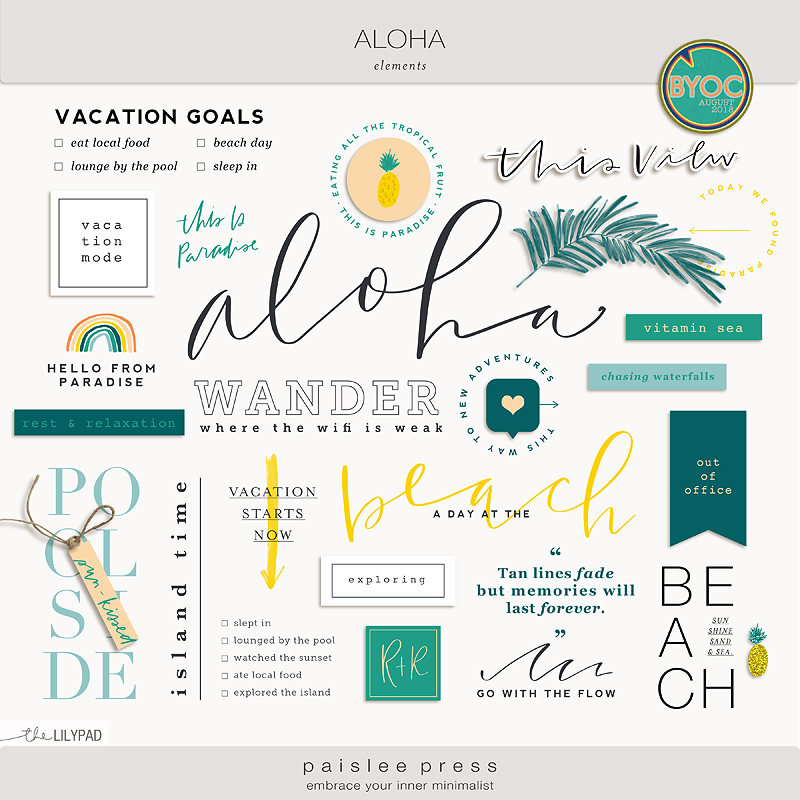 A digital scrapbook pocket card pack by Becca Bonneville, Nourish Cards features adorable illustrations and fun colors. 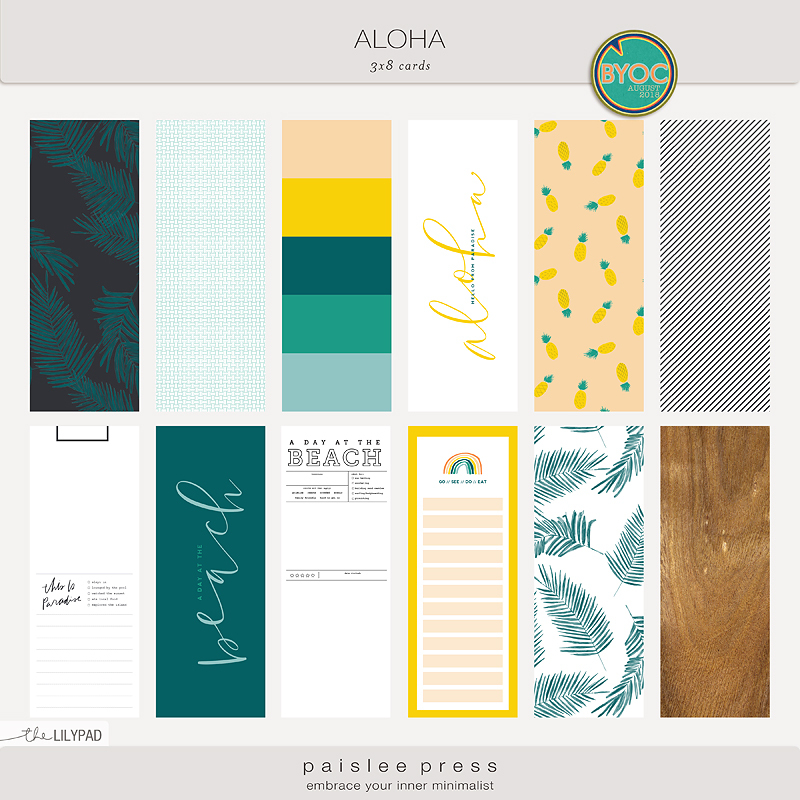 The Nourish Card pack coordinates perfectly with the Nourish Collection and Aug '18 BYOC. Set of tropical vacation themed 3x8 cards. Great for both digital scrapbooking and hybrid projects. 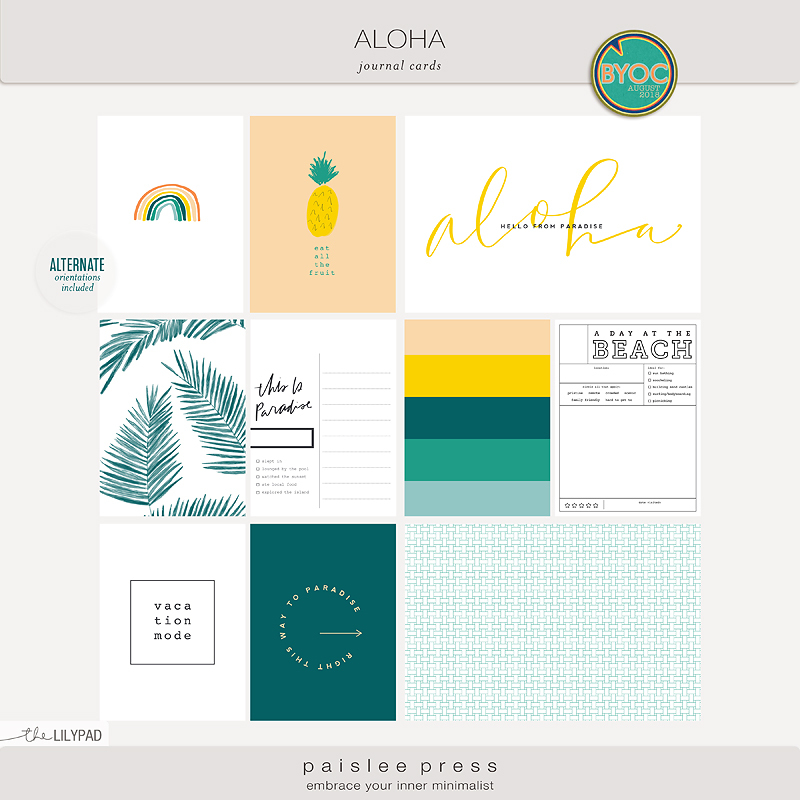 Set of tropical vacation themed elements. Great for both digital scrapbooking and hybrid projects. Set of a tropical vacation themed cards. Great for both digital scrapbooking and hybrid projects. 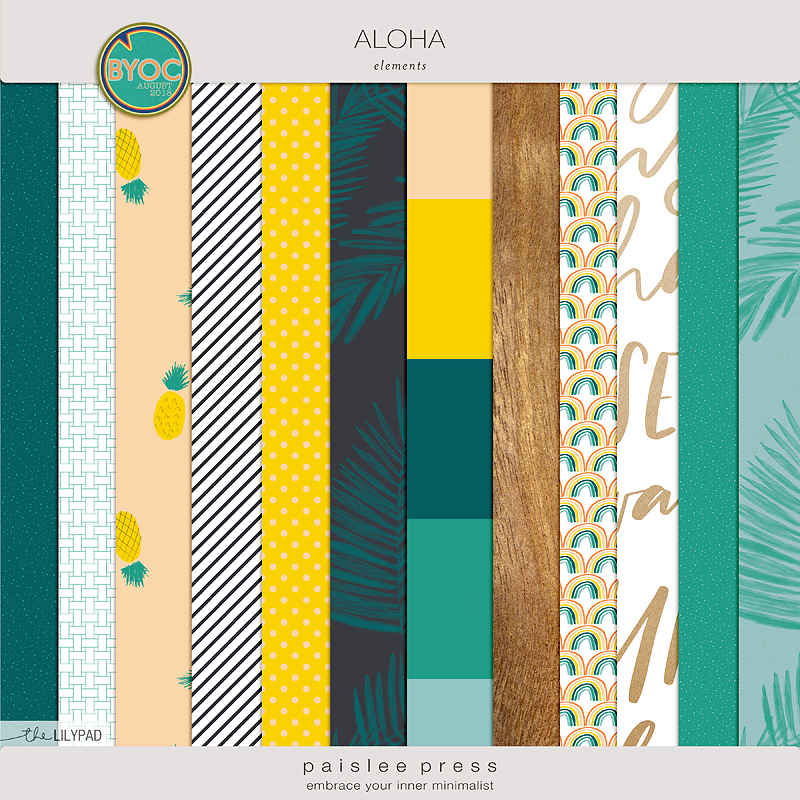 Set of 18 tropical vacation themed patterned papers (not all shown in preview). Great for both digital scrapbooking and hybrid projects. Pocket Maps no.8 is all about documenting the little details for the season of sun and warm, adventures, staycations and fun memories... You can use these journal cards to enrich traditional scrap pages, or in your pocket scrapbooking. From listing, to describing to cataloging, these cards will guide your steps as you journal your memories. No matter your style or method of memory keeping these versatile and classic 3x4 photo templates will add the perfect touch of detail. These photo templates include word art elements that can easily be recolored and customized as well as an editable text box for adding your personal captions and details to the photos. The captions are designed to capture the details of your Summer stories and your everyday stories, from summer specific happenings (camp, water fun, explorations, sunshine centric happenings and bright and happy color). 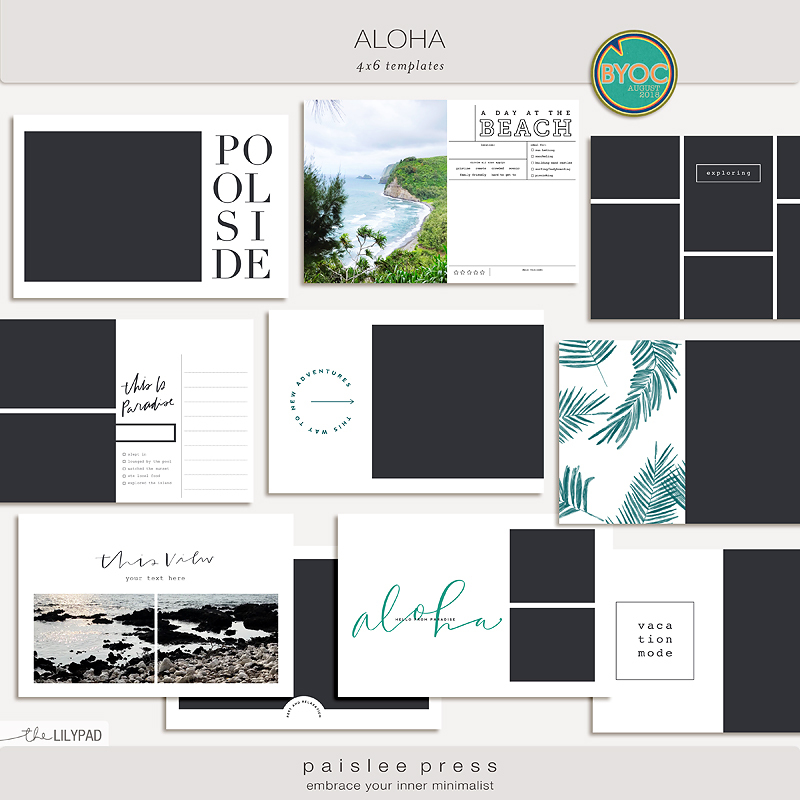 You can use these templates to enrich traditional scrap pages, or in your pocket scrapbooking. Sentiments specifically include: "adventuring", "all you need is ice cream", "backyard adventures", "bare feet, salty hair", "barefoot adventures", "BBQ", "beach days", "resting beach face", "bike ride", "blowing bubbles", "loving: blue skies", "file under: summer bucket list", "carefree", "catching fireflies", "collecting moments", "crafty goodness", "dandelion wishes", "day trip", "eat sleep swim", "the event of the summer", "food. friends. sunshine", "flip flops", "file under: frolic", "fun in the sun", "fun lives here", "good company", "good vibes", "go.see.do", "grass stains", "happiness is a popsicle", "happy camper", "happy place", "heatwave", "heliophile", "best holiday ever", "into the woods", "just add water", "just keep swimming", "just wanna have fun", "lazy days", "lemonade stand", "my little sunshine", "love it here", "let's be mermaids", "on the lake", "paradise", "sweet as a peach", "it's a perfect day", "picnic", "you are the pina to my colada", "play all day", "poolside", "file under: relax", "road trip", "scenic route", "seaside", "'smores", "solstice", "splish splash", "stargazing", "summer state of mind", "springtime", "staycation", "staying cool", "summer camp", "summer fashion", "summer lovin'", "file under: summer memories", "summer nights", "summer reading", "file under: summer story", "sunkissed", "made for sunny days", "sunsets + palm trees", "enjoying: sweet treats", "good times, tan lines", "thirst, quenched", "best vacation ever", "vitamin sea", "wanderlust", "water fun", "watermelon weather", "whoa", "wish flowers", "file under: yay"